As per a research study by IBM, the annual demand of data scientists and engineers will grow to 7,00,000 by 2020. And that shows how fast the field is growing. Businesses have collected data since time immemorial, and now, they are realizing they need someone to analyze it in a way to help the business grow. KDnuggets is one of the leading websites related to data science news and updates. There are tutorials, articles, newsletters, and webinars which would help you up your skills. You can also find here information about different data science online courses and certifications available. This open-source data science website is a compilation of various open-source courses and resources which are available for free on the Internet. From Deep Learning to Natural Language Processing and Data Visualization to Statistics and Algebra, the OSDSM covers everything. Coursera offers many different courses on data science, right from the beginner level to advanced ones. But there’s more. Apart from providing various degrees and certificates, Coursera also has a data science blog giving out information about various trends and researches. Deep Learning, Machine Language, Data Science, Big Data and many other related resources are what Inside Big Data website is all about. White Papers, Case Studies and various applications of data science in different fields are a few other things that you can find here. As the name suggests, Data Science Central is all about data science. Along with regular blog posts by contributing authors, information about various tools, trends and expert insights, the website also has an active community forum. Analytics Vidhya is a website which has an array of informational articles, infographics, and other helpful resources about data science, data analysis, data visualization, and other related topics. The site also offers courses and hackathons, along with discussion forums. Kaggle is a place where data science students can take part in discussions, participate in upcoming competitions and also, indulge themselves in different projects. And its blog too provides helpful data and tutorials. Like Coursera, Datacamp is a website which offers online courses; but specific to data science. And it also has community discussion forums, blog, and various tutorials to help you in the journey of learning the language of data. Run by three biostatistics professors – Jeff Leek, Roger Peng, and Rafa Irizarry – Simply Statistics explores how the data scientists around the world use statistics. Apart from tons of articles in the archive, there are interviews and even a list of popular data science courses for you. Dataconomy is where you will find tons of research papers and articles related to data science applications. Other than those, you will find helpful articles and beginner’s guides, industry updates and latest trends in data science. The website also helps you find relevant career opportunities. OK, that would be the list for now. Being updated and continuous learning is necessary for any industry you are working in. 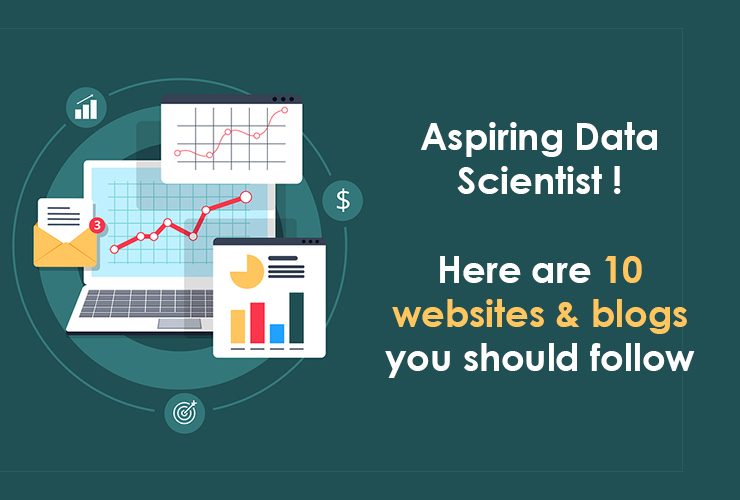 And those were the ten data science websites and blogs that will help you keep updated with the latest trends and developments in data science. However, if you need any assistance to fund your career in data science, Monexo would help you with education loan in India. It is an online P2P lending platform which provides easy personal loans for education, wedding, travel and various other personal needs.